A sure sign that a product has become a big favorite is when I don't bother to put it away after every use and just leave it out for easy access. Normally all my makeup is organized in drawers by category (and sometimes also texture, such as cream blushes vs. powder blushes). It usually happens when I'm obsessed with a lip color or an eye shadow palette, but lately it's a highlighter: Chantecaille Liquid Lumière in Luster, a reddish shade that isn't too obvious and works well with just about everything I throw at it. 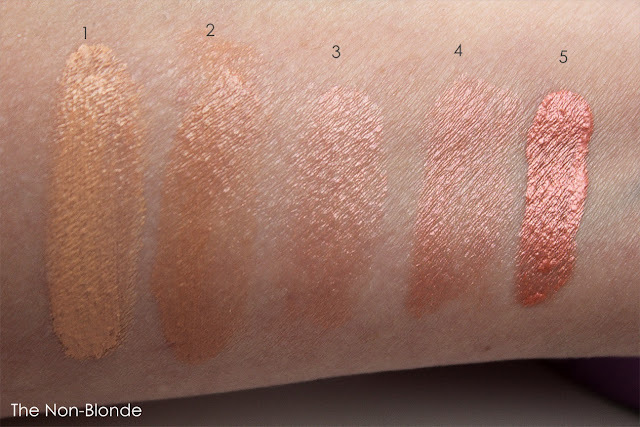 Chantecaille Liquid Lumière is a lightweight cream highlighter that has an almost gel-like texture but a more dense finish at first sight.However, since you can use it under, over, or blended with other face products, Liquid Lumière is incredibly versatile, and can appear whisper light and very subtle, just an added glow to your base and not full-on strobing. *As a finishing touch over makeup: this gets the most noticeable effect, and looks very pretty as a complement to cream blush. However, I find that longevity is lacking and the highlighter fades into the rest of my makeup within a couple of hours. It's probably because the formula contains quite a bit of skincare-type ingredients which are supposed to merge with the skin. * Mixed with skincare, under the base: doing this allows you to use the highlighter all over the face as an allover glow under your foundation. It's subtle, but very pretty, and adds a lovely dimension to my skin. 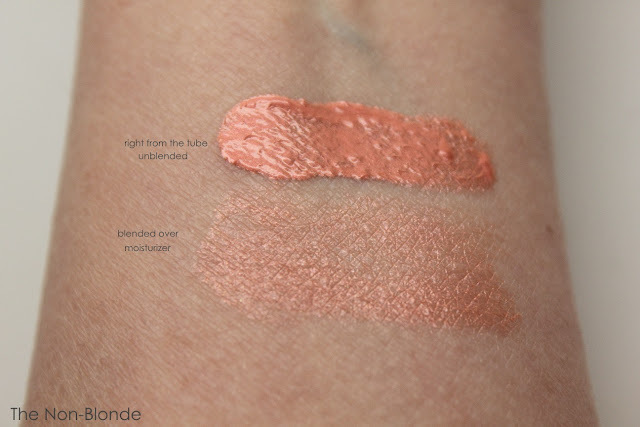 The pigment in Luster is very flattering- just enough warmth to give the face a boost. *Mixed with a primer: pretty much the same as above. Works better with light, non-silicone primers. * Mixed with foundation or tinted moisturizer: produces the best longevity. It's probably a good idea to only apply on certain parts of the face where you actually want a noticeable glow, and use plain foundation elsewhere. 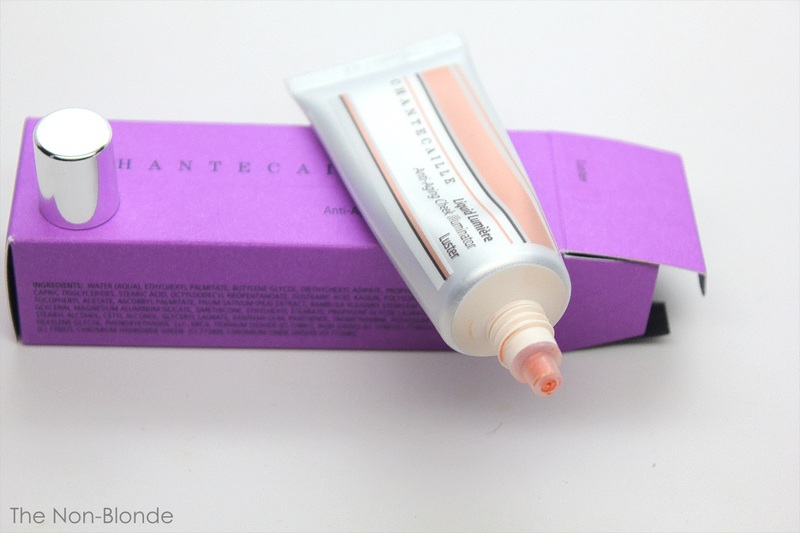 Chantecaille Liquid Lumière In Luster ($39, made in the USA) is available at select department stores, Space NK, and Chantecaille.com. The product for this review was sent by PR. Do you think it would work under something like Hourglass Illuminating Powder? Or over? Definitely under. It's very lightweight, but I'd still worry about it disturbing any layer of powder. such a gorgeous color! I never know what do do with highlighters in unusual tones, but I'll definitely look into this product and your application methods. I tried it under the Hourglass powder this morning, and it still looks nice at 11:00 A.M.
Have you tried this in the color Sheen?